iFood is the leading food delivery platform in Latin America with over 50,000 associated restaurants and 120,000 couriers. Every month, customers place millions of food orders for delivery using the iFood mobile app. 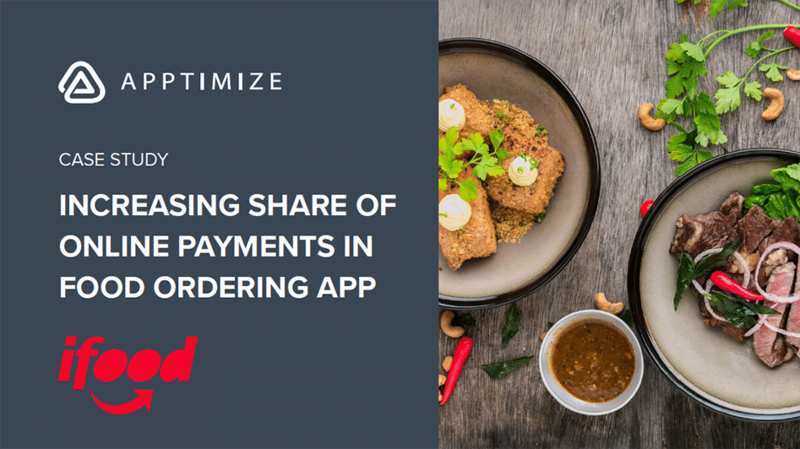 As part of a redesign of their mobile ordering app, the iFood team wanted to encourage more customers to pay for orders directly on mobile or online. At the time, customers had the option of paying for their orders upon delivery with cash or a credit card. The option to pay upon delivery required more time to complete and required the courier to bring a credit card machine along to process the payments. The product team decided to change the payment screen to increase the proportion of online payments. By changing the Payment Methods screen in the app to highlight the option to add a credit card to the account and to display the Pay Upon Delivery options on a secondary screen, the share of online payments would increase. 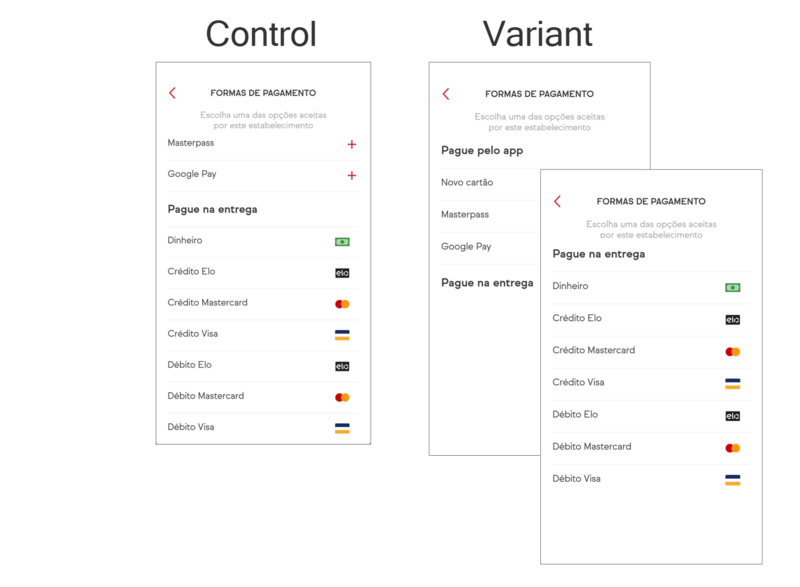 The iFood team ran A/B experiments on the Payment Methods screen. They ran the original version which showed the entire list of Pay Upon Delivery payment options against a new version which gave customers the ability to add a credit card to their iFood account and pay for the order in-app. In the variant, they still provided customers the option to pay upon delivery, but de-emphasized it by moving it to a secondary screen. iFood saw a 14% relative increase in online payments share (orders with online payment over traffic to payment screen). 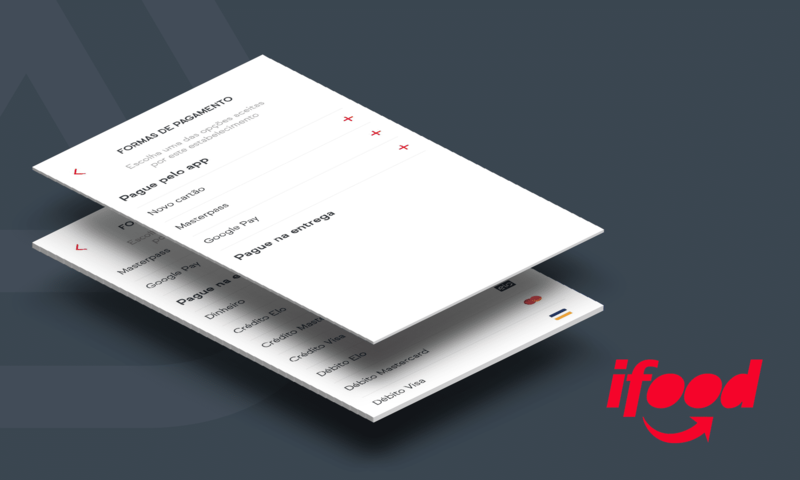 The iFood team developed the A/B testing framework using Apptimize right around the time they were redesigning the app. 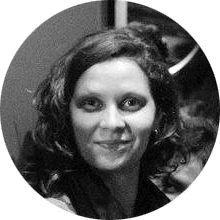 By having the A/B testing platform and framework in place, they found they could use data from the experiments to make critical decisions on the new app design rather than relying on hunches.